Background: Concentrated hyaluronic acid (HA) gels with a high degree of cross-linking such as Cohesive Polydensified Matrix® (CPM) HA have been designed for long-term facial volume restoration. Objective: To determine the behavior and longevity of CPM HA gel, a case series of subjects underwent magnetic resonance imaging (MRI) or computed tomography (CT) scans several years after their initial treatment. Methods: Six subjects, three from the initial CPM HA Conformité Européenne registration study and three from private practice who had received prior injection of CPM HA for facial volumizing indications agreed to undergo an MRI or CT scan at intervals ranging from 1 to 4 years after the initial treatment. The amount of HA gel originally injected was compared with the amount estimated from volumetric analysis of the MRI and CT scans. The scans were also examined for the signs of any abscess or granuloma formation and to determine the behavior of the HA gel over time. Results: CT and MRI imaging of the six study subjects indicated CPM HA gel persisted for 2–4 years after only a single treatment. 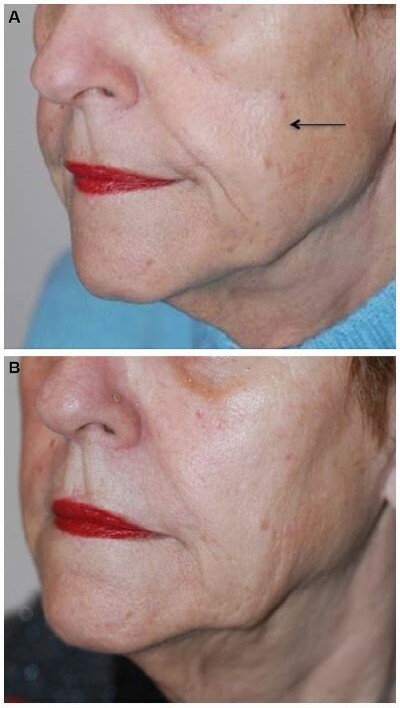 In some patients, product was evident in deeper facial fat compartments than originally injected suggesting some diffusion of product had occurred. There was no MRI or CT evidence of abscess or granuloma formation. Conclusion: Our findings indicate that CPM HA volumizing gel has substantial longevity when injected subcutaneously or in deep soft tissues.